Hà Nội has surpassed Hồ Chí Minh City to become Việt Nam’s capital of expenses, as new statistics found its costs of living are up to 22 percent higher than other cities’. Figures from the General Statistics Office released Friday showed that Hà Nội is the most expensive city, based on prices of nearly 1,600 products and services between 2012 and 2014. Hồ Chí Minh City came second, although the city is the most expensive when it comes to education services, which are more than 70 percent above Hà Nội’s. The southern metropolis was the most expensive place in the country until 2012. Some say the city’s efforts to keep prices of food and clothing stable have worked. Consumer prices in northern mountainous provinces including Điện Biên and Sơn La have been going up, even though they are the poorest places in the country. 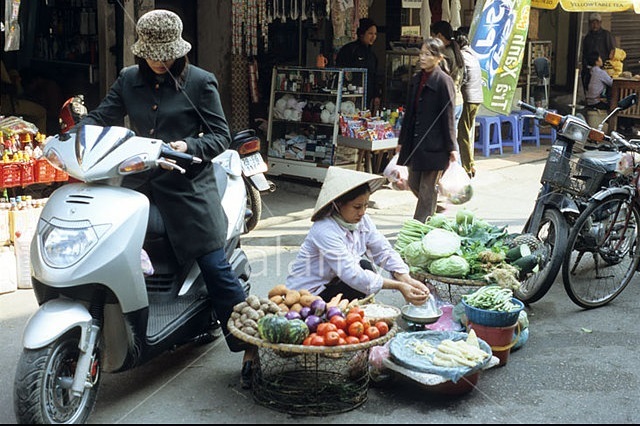 Transport costs in these provinces are between 2 to 8 percent higher than those in Hà Nội. The Mekong Delta, with ample natural resources, has become cheaper recently and is now more affordable than the Red River Delta. Prices in Cần Thơ, the center of the southern delta, are the lowest compared among Việt Nam’s top-tier cities, which include Đà Nẵng, Hải Phòng and Huế.